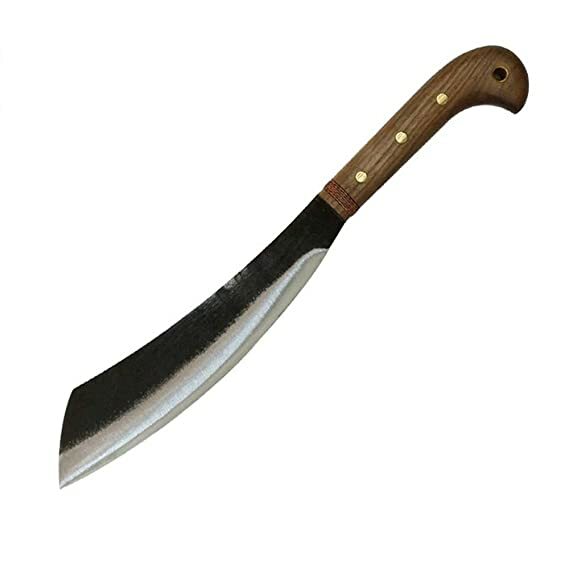 This machete has an 18 inch blade and comes with a leather black sheath. It has a micarta handle. It has an epoxy black powder finish. Matt Graham and Condor teamed up to design the Primitive Bush Knife. The 420 high carbon stainless steel is 13 1/2″ overall length with a blade length of 8″. The blade thickness is 3.0mm and comes with a hand crafted welted leather sheath. The Bush Knife weighs just under a pound at.94lbs. CONDOR TOOL & KNIFE traces its proud history back to 1787, the year GERB WEYESBERG COMPANY was founded in Solingen, Germany. The quality of the swords, military knives, agricultural tools and household cutlery they manufactured made Solingen the cutlery capital of the world. Over the generations, the worlds largest manufacturer of swords and knives found it necessary to expand operations to other countries to better serve its customers. In 1964, the company formed IMACASA with a new plant in Santa Ana, El Salvador and filled it with state of the art German equipment. Some of the original local employees who were sent to Solingen for extensive training forty years ago are still working in the factory today, turning out the finest quality machetes, shovels and other hand tools. 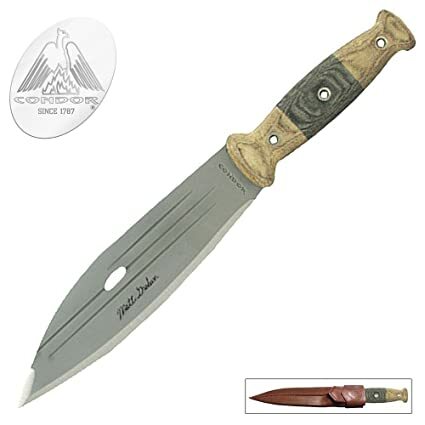 This knife has a 4 inch blade and comes with a leather brown sheath. It has a Micarta handle and natural blade finish. 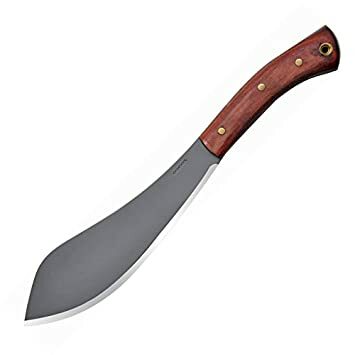 This machete has a 12 inch blade and comes with a leather brown sheath. 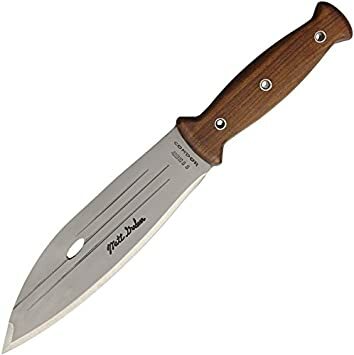 It has a hardwood handle and a condor classic blade finish. 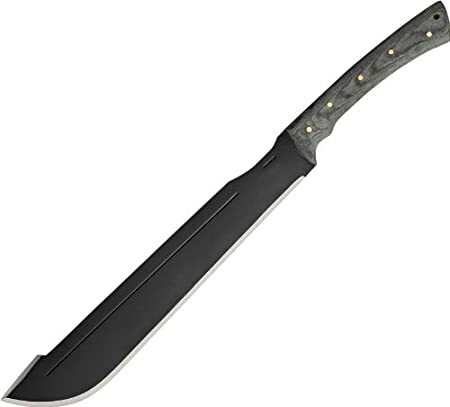 This machete has a 13 inch blade and comes with a ballistic nylon sheath. It has a polypropylene handle. 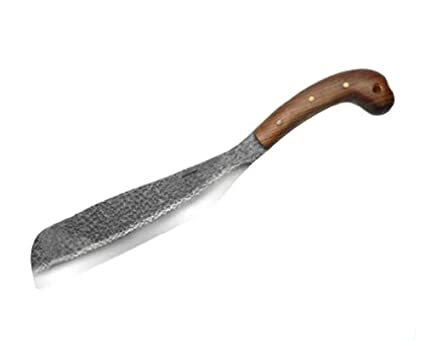 The Primitive Bush knife features an English 420 HC (High Carbon) surgical quality stainless steel and is heat treated and annealed to about 56-58 Rockwell (a measure of hardness). Every edge is hand finished and polished to razor sharpness. The blasted satin finish is achieved by sand or bead blasting the exposed metal portion of the blade. The hardwood handles are made from hard woods of Central America, similar to Hickory, and are used in some of Condor machetes and knives. Then finished with a smooth grip and is known for their long durability. 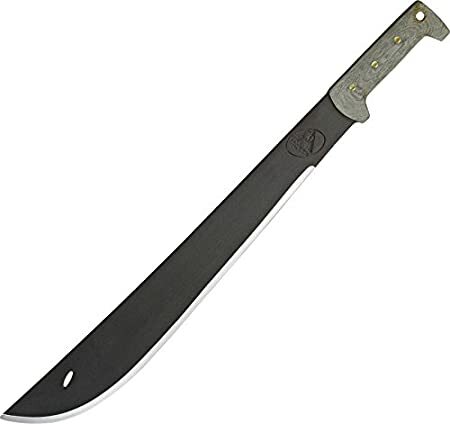 The Duku Machete has a blade thickness of 4.5mm out of 1075 high carbon steel with a blade length of 10-Inch and an overall length of 16.75-Inch. Every edge is hand finished and polished to a razor sharpness. The hardwood is made from hardwoods of Central America, similar to Hickory. 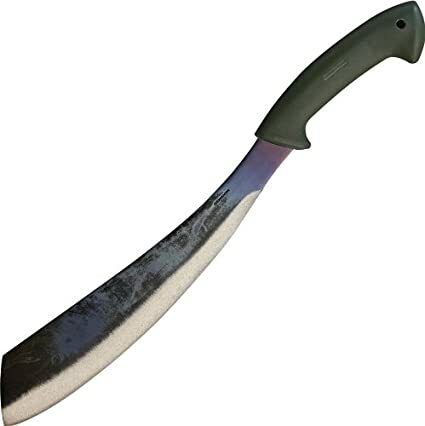 Included with this machete is a hand crafted welted sheath. 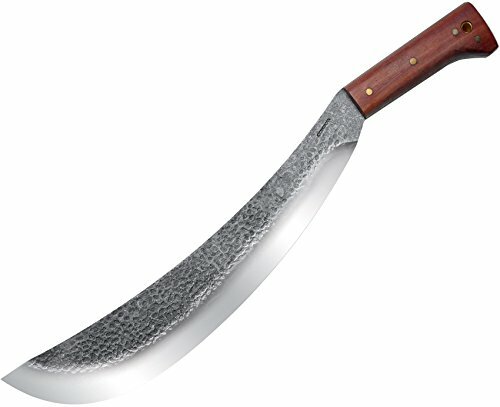 This machete tips the scales at 1.48lbs. The Condor double bit Michigan a XE has a blade length of 7in x 4in and an overall length of 26in. The a XE head is constructed of 1045 high carbon steel. This a XE head is heat treated and annealed to 40-45 Rockwell C. The a XE head is also coated in the Condor classic finish giving it an enhanced look to an already well made tool. The classic Series is a hit with historical camping fans, Mountain men, and colonial period War retractors. 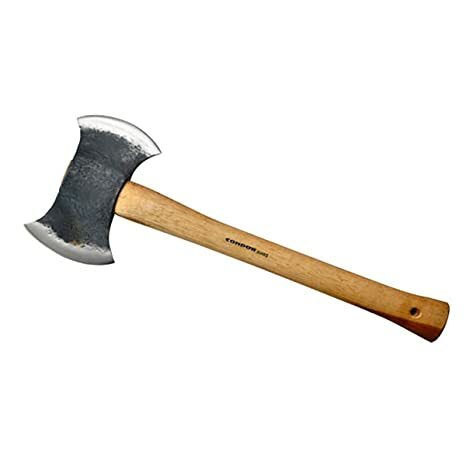 The American Hickory handles are used in all Condor axes and are selected for proper grain Orientation. 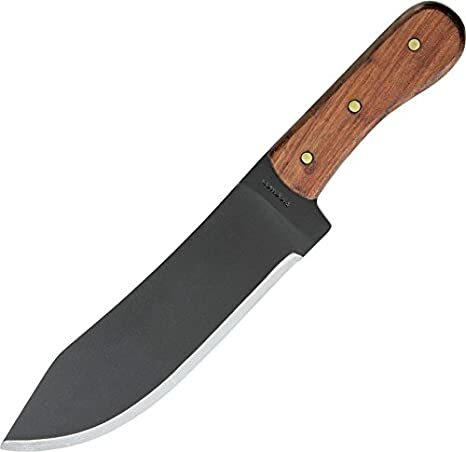 This machete has a 15 inch blade and comes with a leather brown sheath. 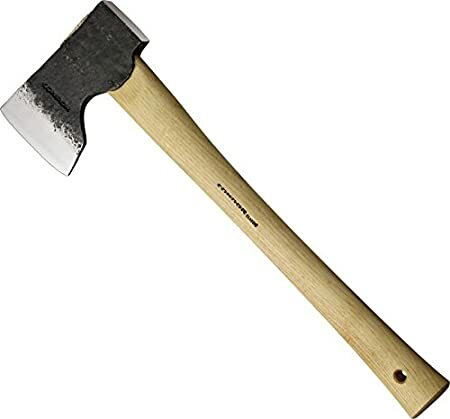 It has a hardwood handle and a condor classic blade finish. 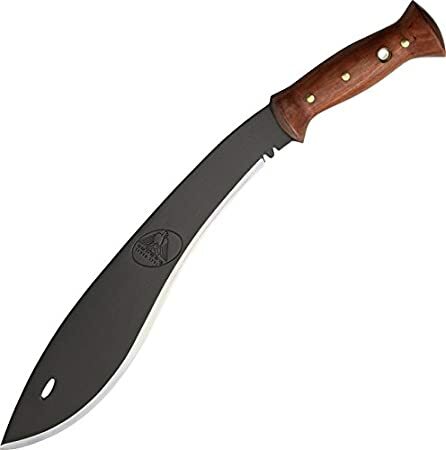 This knife has a 10-Inch blade and comes with a leather brown sheath. It comes with a hardwood handle and blasted satin finish.